Here we are again at the beginning of another year- how does that happen so quickly? Have you made some resolutions and set some goals to accomplish? 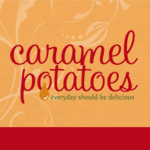 Most often mine include some form of eating more healthy and being more organized. So, to get the New Year started- here’s a recipe to help with both. 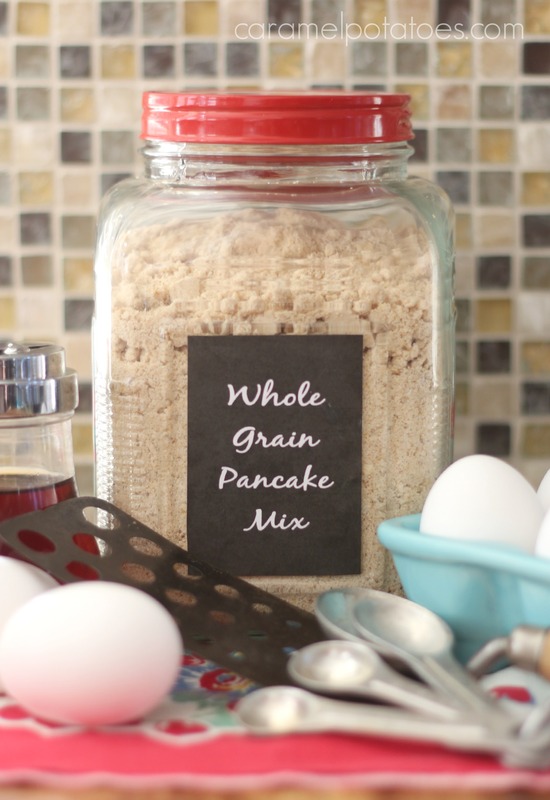 This Whole Grain Pancake Mix is so easy to make, and will save you oodles of time in the mornings! 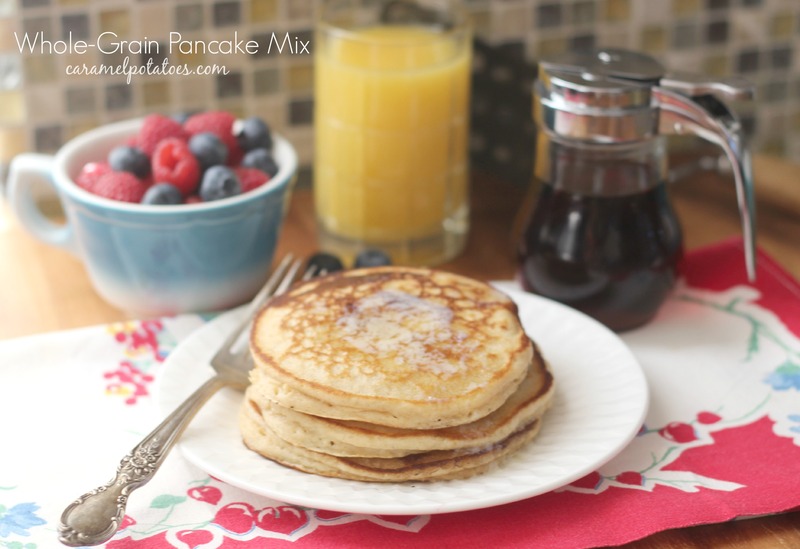 This mix makes the most yummy light and healthy pancakes – You can also feel good knowing they are 90% whole-grain with no artificial anything! 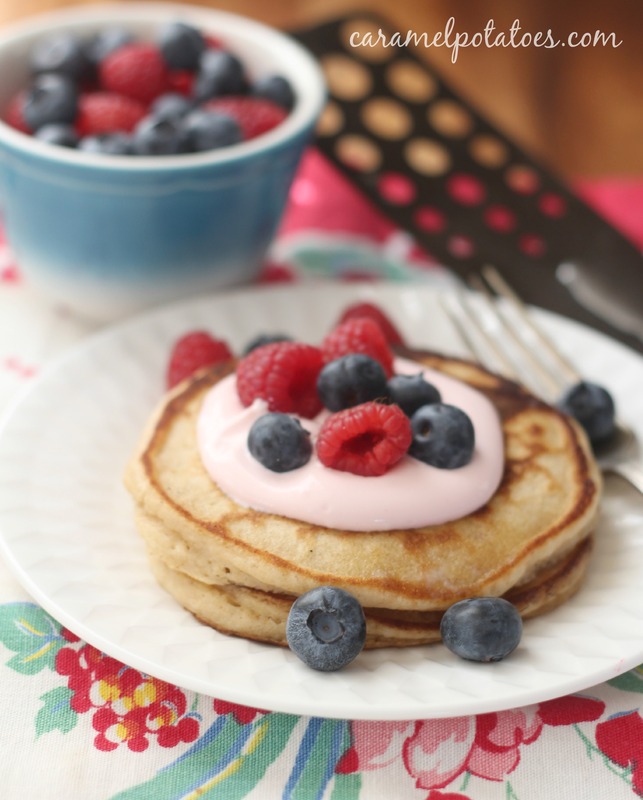 You’re going love the flavor of whole grain and oats in this pancake mix. Grind the oats in a food processor until they’re chopped fine, but not a powder. Whisk together 1 cup of mix, 1 cup of buttermilk (or a combination of half plain yogurt and half milk; or 3/4 cup liquid whey), and 1 large egg. Don’t worry if it seems thin at first: the oats will soak up the milk, and the mix will thicken a bit as it stands. Heat a lightly greased griddle to 350°F (if you’ve got a griddle with a temperature setting; if not, medium-hot will do). Drop the batter onto it in 1/4-cupfuls to make a 4″ diameter pancake. Recipe adapted slightly from King Arthur Flour – have a great breakfast!